Want to start the morning with a little advice from one of your favorite authors? 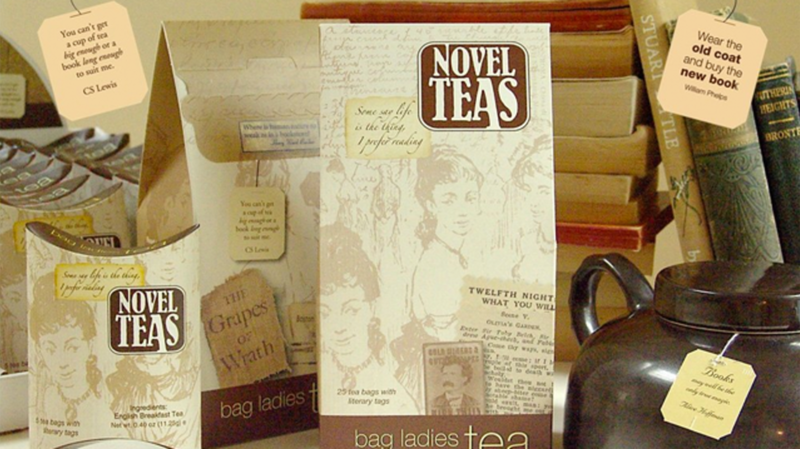 Novel Teas are special tea bags that include tags individually printed with quotes from great minds like C.S. Lewis, Rita Mae Brown, and Alice Hoffman. The English breakfast tea is grown and packed in Sri Lanka and arrives in boxes of 25 tea bags, so you can enjoy plenty of insight while relaxing with your mug. As C.S. Lewis said, "You can't get a cup of tea big enough or a book long enough to suit me." You can purchase a box for $15 right here.